Giant Rubber Duck in Darling Harbour – Sydney Festival 2013! Giant Rubber Duck in Darling Harbour last Saturday for the Sydney Festival 2013! The Giant Rubber Duck has arrived in Sydney! If you haven’t seen the impressive giant duck then you would be “quackers ” not to pop down to Darling Harbour to check it out? This is a must see!!! As the harbour-warming welcome celebration the Sydney Festival exhibit Florentijn Hofman’s giant Duck is floating in Darling Harbour 24h a day. Travelwheels Campervan Hire Sydney has a special offer on where if you mention this blog post about the Giant Rubber Duck in Darling Harbour. Travelwheels campervan hire Sydney will give you an extra 10% discount on Sydney to Sydney Campervan Hire! All you have to do is pop into our store located at 191 William Street – click to view map and give us a couple of “quacks” and the girls in the office will start laughing. Then you will get your 10% discount on a Sydney to Sydney campervan hire special. You can also click on the 10% discount email me a quote button below as well. Just ask for 10% discount by writing “quack, quack, quack” and our staff will instantly give you 10% discount on Travelwheels Campervan Hire Sydney to Sydney campervan hire from Travelwheels. This Giant Rubber Duck is part of the wider celebrations for the annual Sydney Festival which takes place in January. The festival takes place across a couple of weeks in and around Sydney and then once it is finished it is a good time to then think about going for a Travelwheels Campervan Hire Sydney Special. The end of January is a great time to explore the great Sydney area with Travelwheels Campervan Hire. There are so many wonderful places just a few hours north or south of Sydney. 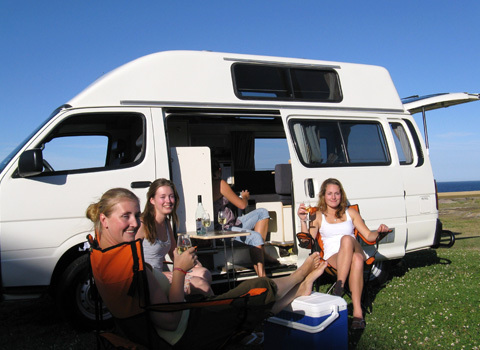 Travelwheels Campervans Specialise in good value for money campervan hire. We will do our best to beat any competitor prices for Sydney to Sydney Campervan hire. Please note has to be for a similar style campervans, ie, similar age, style, quality, and insurance options. 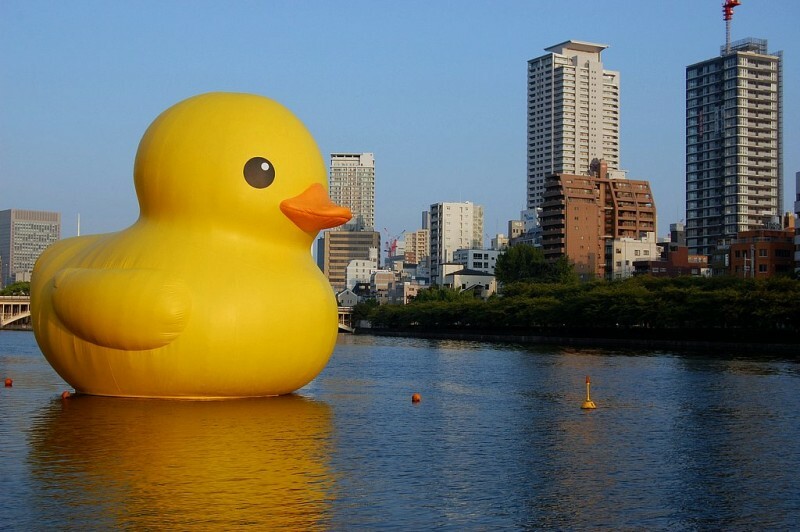 Once you have seen the Giant Rubber Duck then you might want to head out of Sydney after all that excitement! Below is the travelwheels campervan hire price checker. This will give you our best price for campervan hire starting from any of our depots across Australia. Enter your dates below for a quick quote.